Butterfly Reflections, Ink. 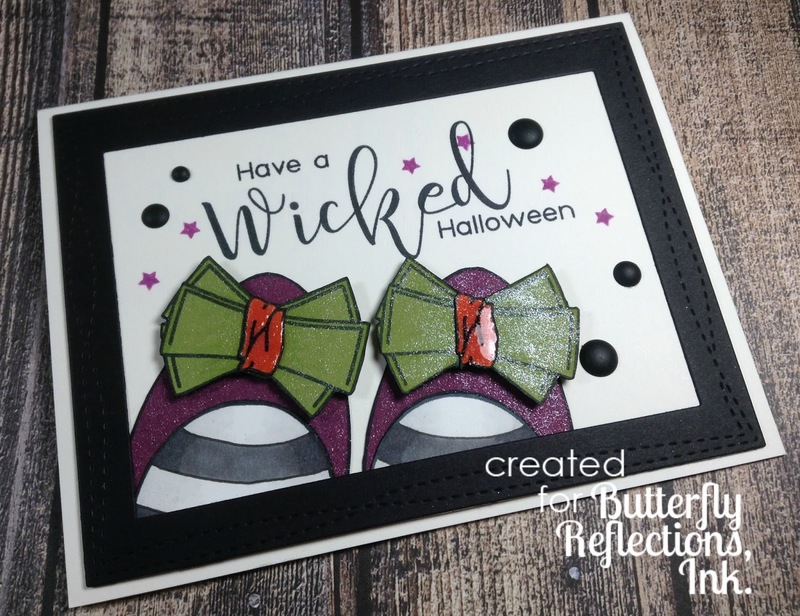 : Wicked Halloween! However, I did have a blast making this card. I used an actual Halloween stamp set and a not even remotely close to a Halloween set. This is where my thought process started. I started by going through scraps of cardstock to find halloween colors (that cardstock is actually purple). I used the First Step Stamp Set and Co-ordinating Dies from Waffle Flower. To create a custom sentiment for my card, I used the Peek A Boo Stamp Set from The Greeting Farm. I only used the "Have A" and "Halloween" portions of the "Have a Magical Halloween" sentiment. For the custom part of the sentiment I used the Sophisticated Script Stamp Set from Concord and 9th. I created a black frame using Wonky Stitched Rectangles from My Favourite Things and put my card together. I added Matte Black Enamel Dots and stamped some stars in purple ink. 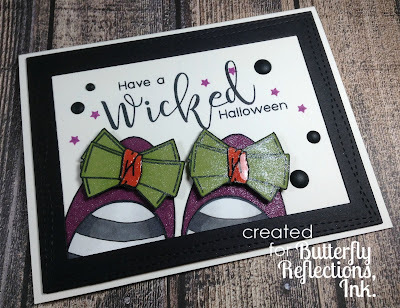 As you can see, I did make some color changes to the bows, using green and orange cardstock and the paper piecing technique. And witch shoes aren't complete without a little sparkle, right?? I added a TON of Spectrum Noir Clear Overlay Sparkle Pen and Glossy Accents to finish them off. Thank you so much for stopping by today!! 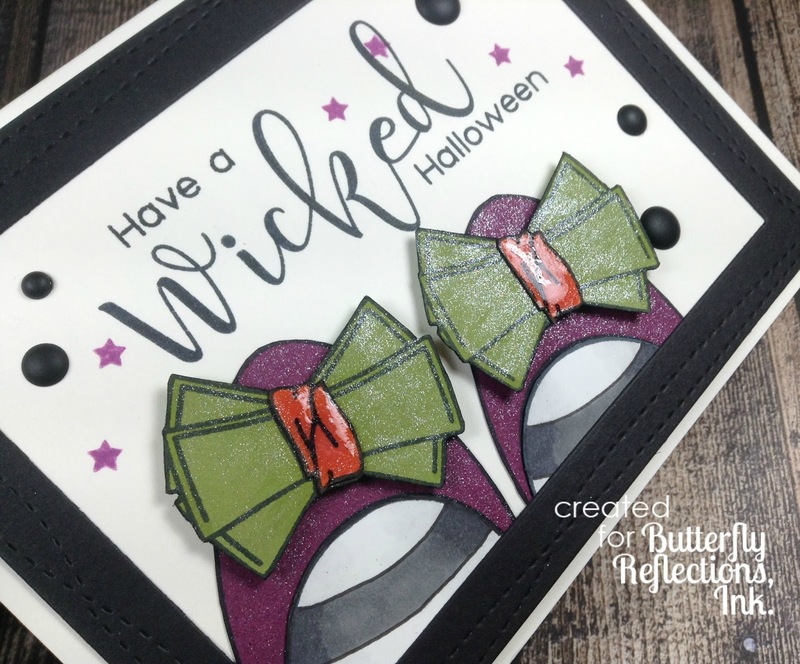 Have a "wicked" week!!! !